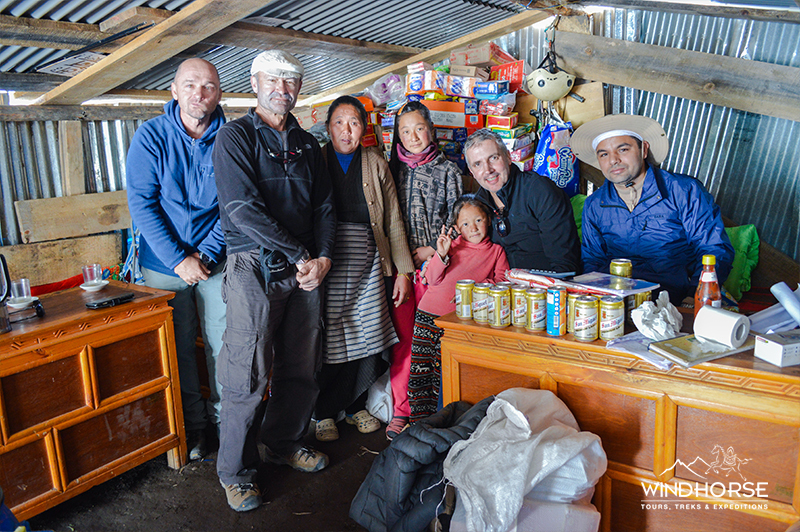 • Visit to Sherpa villages and Buddhist monasteries along the way. 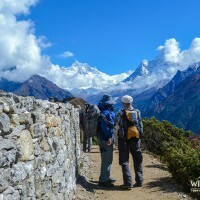 Everest View comfort trek Nepal is a five-day easy to moderate trek using comfortable lodges that are comparable to city hotel. 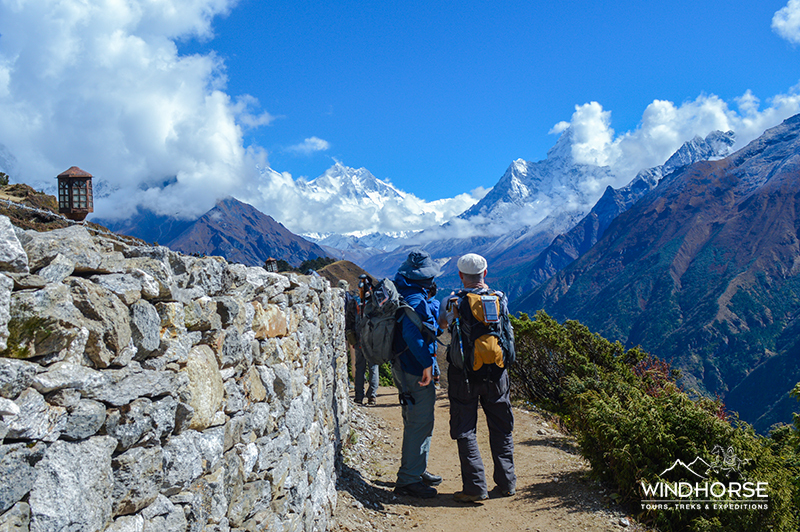 Mount Everest National Park is the one of most popular destination for trekkers and climbers alike. Up until now trekking in this beautiful area involved either camping or staying at basic tea houses. Now it is possible to trek to this region using comfortable lodges with all the modern conveniences of attached bathrooms with running hot and cold water. 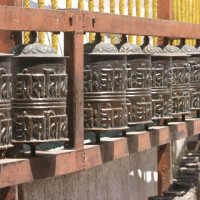 They are also located well to give you a magnificent panorama of the Himalayas from the lodge itself. 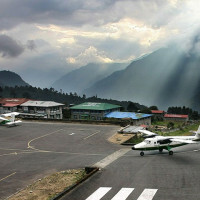 Beginning with the sightseeing tour in Kathmandu, take an exciting flight in a Twin Otter plane to the mountain airstrip at Lukla, from where we begin walking gradually to Phakding, then to Namche Bazaar and finally to Everest View Hotel in Khumbu, listed on the Guinness Book of World Records (2004) as the highest placed luxury hotel in the world. 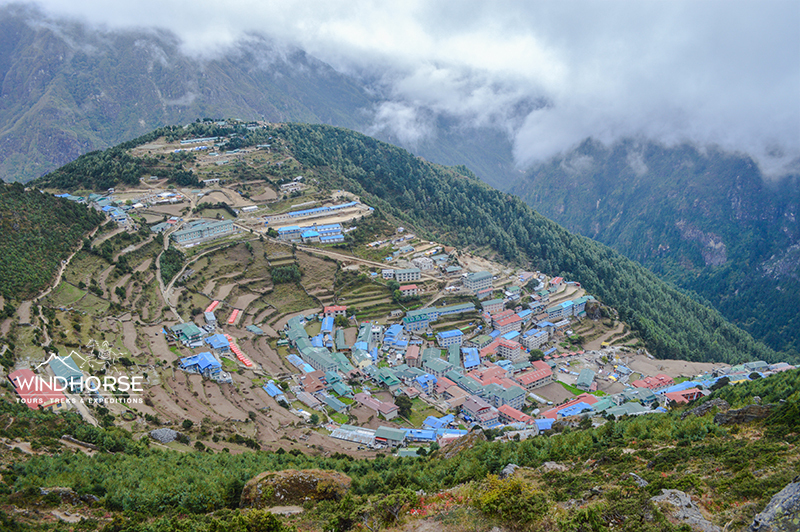 The trek from Lukla to the colorful and vibrant center of Sherpa culture at Namche Bazaar is through many Sherpa villages is well graded and on well-established paths, making it suitable even for novice. Trekking through pine, rhododendron forests, with outstanding views at every turn, culminating in an awesome view of the world’s highest peak, will have your camera permanently in hand. 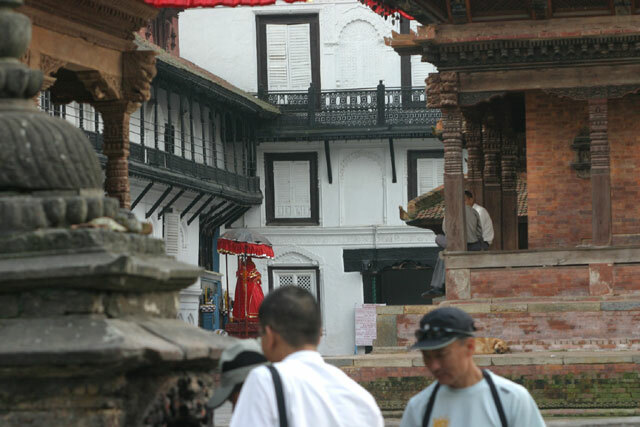 Day 1 & 2 : In Kathmandu. Flying into Kathmandu on a clear day is in itself an unforgettable experience, with the entire Nepalese Himalaya sprawling out below you. Upon arrival meet and transfer to the hotel. 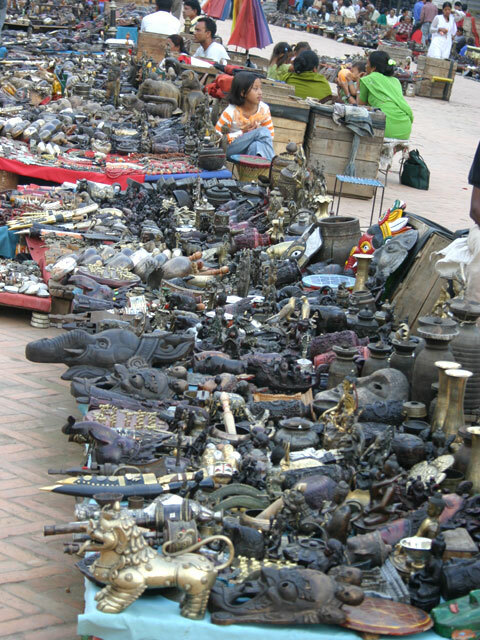 On the first evening visit Kathmandu Durbar Square and walk to Thamel through Indrachowk market. Welcome dinner and briefing. 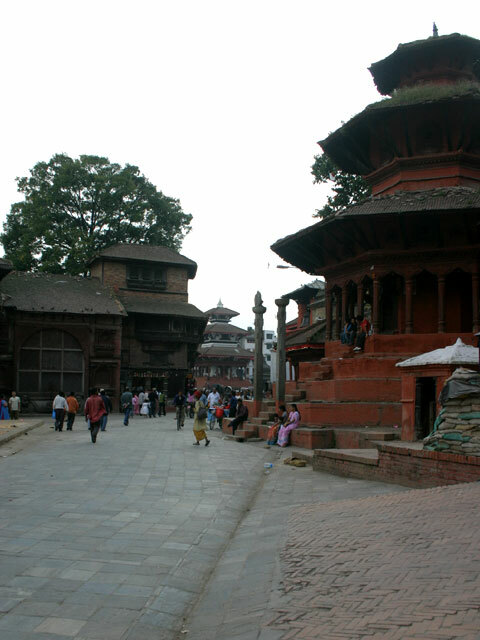 Next day, we have a full day sightseeing covering the World Heritage sites of Kathmandu valley sites such as Boudanath, Syambhunath, Patan Durbar Sqaure and market. In the evening free time to shop and prepare for the trek. 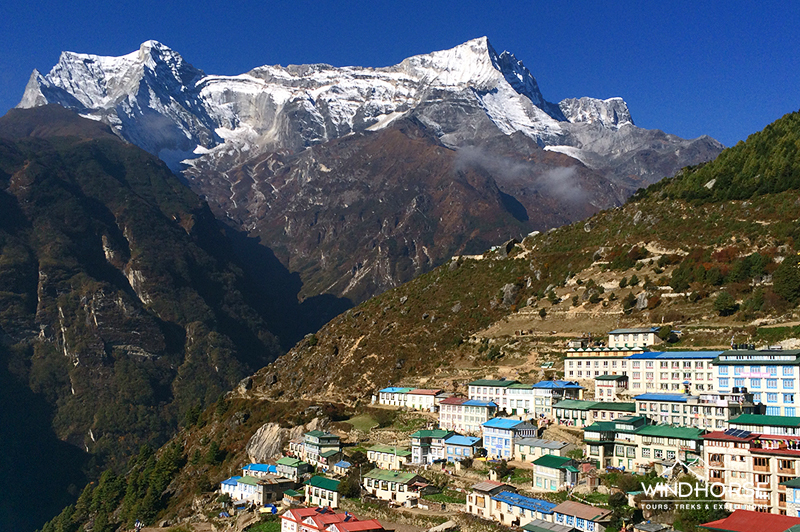 Day 5: Namche Bazaar – Shyangboche (3880m) Approx. 2.5km/2hr walk to Everest View hotel. 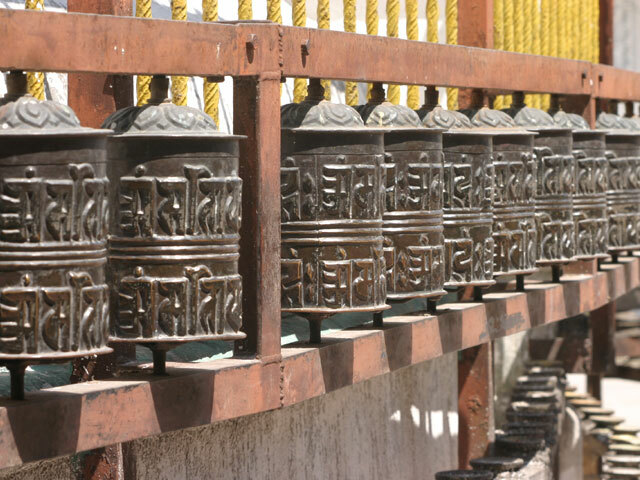 Visit the internationally known Museum of Sherpa Culture nearby. Our stay in Namche naturally helps in acclimating to altitude and so we begin another 1-2 hrs stiff climb up to Everest View Hotel, passing Syangboche airstrip along the way. Opened in 1971, Guinness Book of World Records (2004) accords Everest View Hotel, the status of Highest Placed Hotel in the world. View Everest from every room and enjoy 360’ panoramic view from the hotel sun deck, sipping coffee, and not from some windy crag. Rooms are spacious with attached bathroom, includes a sitting area and access to balconies. In case of altitude sickness, Oxygen bottle, Gamow bag, rescue helicopters are available. Relax and enjoy the rest of the day in this historic hotel or walk to nearby Khumjung and Kunde village, where you may be able to visit local families, Sir Edmund Hillary’s school, and Khumjung monastery with a scalp that purportedly comes from a Yeti. 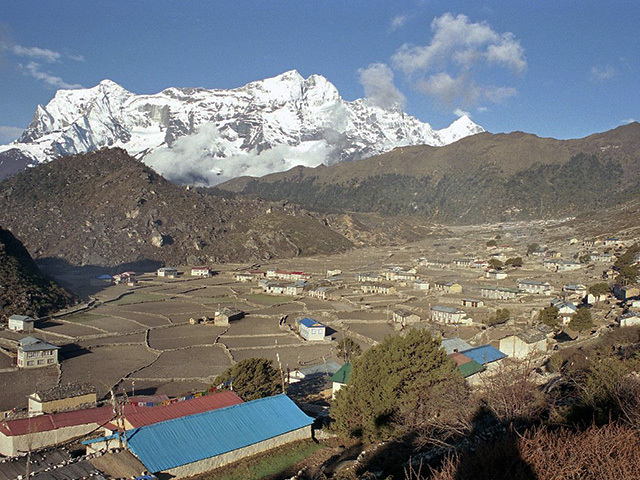 The village of Khunde is a short walk further on and contains the famous medical centre instigated by the Sir Edmund Hillary Trust. Overnight in Everest View hotel. 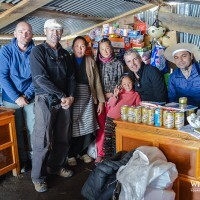 Day 6: Shyangboche – Namche -Monjo (2840m) Approx. 8km/ 4hrs trek. Ascent 360m – descent 1400m. As the first rays of the sun rises from behind the tallest mountain on earth, wake up to this amazing views and enjoy the moment. After leisurely breakfast, once again you have option to visit Khumjung and Kunde this morning or head down to reabsorb the market scene of Namche Bazaar, which is just one hour downhill. From Namche bazaar, retrace downhill on a steep descent to Dudh Koshi valley. Cross the suspension bridge, and walk along gradual ascend and descending path to Monjo. 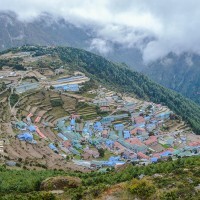 Monjo is a picturesque village at the edge of Everest National Park, comprising of about 30 houses, in narrow valley at the junction of Thamserku & Dudh Kosi river surrounded by mountains. Overnight at Everest Summit Lodge. Day 7: Monjo to Lukla (2850m) Approx. 13km/ 4 -5hrs trek. Our last day of trekking is gradually downhill till Phakding. 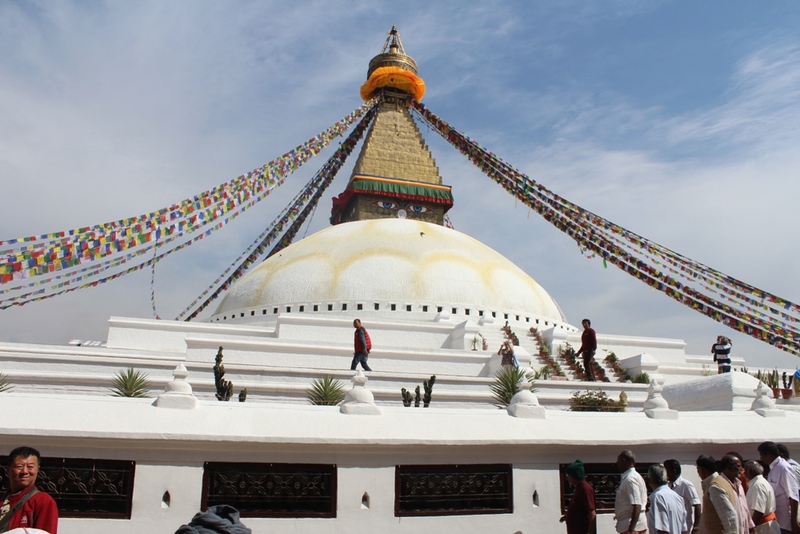 You have a chance to visit Gumila monastery from Phakding by walking little more than half hour from the main trail. From Phakding continue following the river valley for a bit and then climb of the side of the ridge to Lukla. Free to stroll or enjoy relaxing afternoon at the hotel. 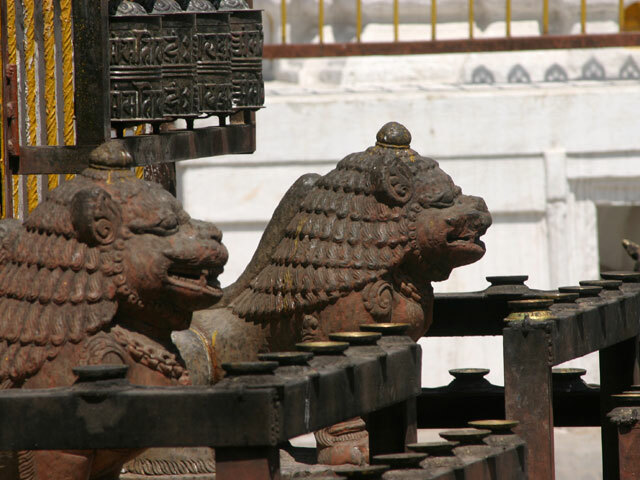 The 40 minutes’ flight from Lukla brings you back to Kathmandu. Upon arrival, meet and transfer to the hotel. Free to pursue your own interests. Next day is also free day. 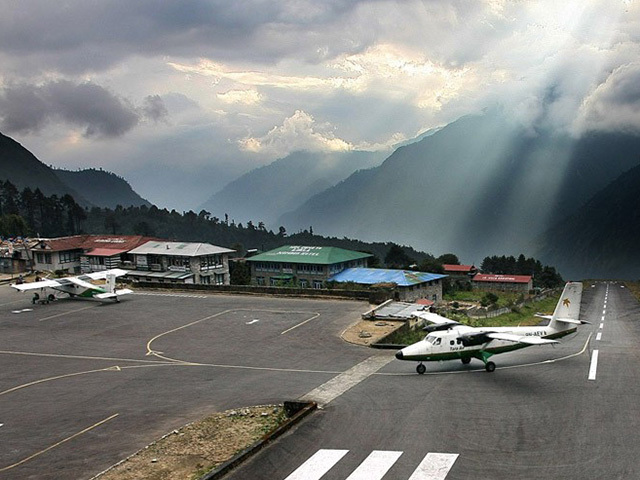 An extra contingent day in case of flight cancellation/delay from Lukla which does happen frequently. 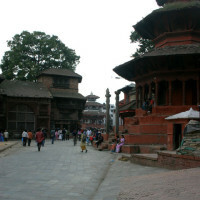 If the flight arrives as planned, you can easily do some tours out of Kathmandu valley. 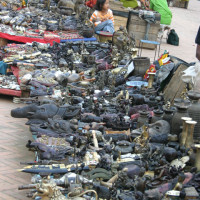 You accommodation and breakfast are included in Kathmandu. Private transfer to the airport according to your flight schedule. Daily Departure for Join-in /Small Group available in March, April, May, Oct & Nov. The trip can be taken privately and it can done through-out the year. 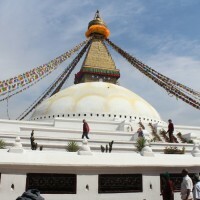 • Any extra cost of changing a confirmed tour; such as early return from trek. Any extra cost incurred will be borne by yourself. 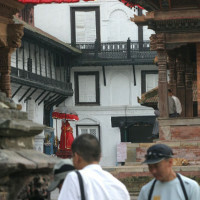 In Kathmandu: Shambala hotel 4 star is planned but upgrade is possible. Hotels on the trek : Except for Phakding, where basic trekking lodge with attached bath, all other hotels/lodges on this trek is considered a relative luxury considering that it is a trek. In Namche Bazaar, we stay at Panorama Lodge, in Syangboche/Khumjung, we stay at Everest View Hotel and in Monjo & Lukla, we stay at Summit Lodges. After completing college from Kathmandu University, Mahindra pursued Post Graduate In Community Welfare and MBA from Australia, where he also worked as Social and Community Care Coordinator in Royal Darwin Hospital for 1 and half years and as a Community Service Worker and Disability Service Coordinator in Somerville Community Services. 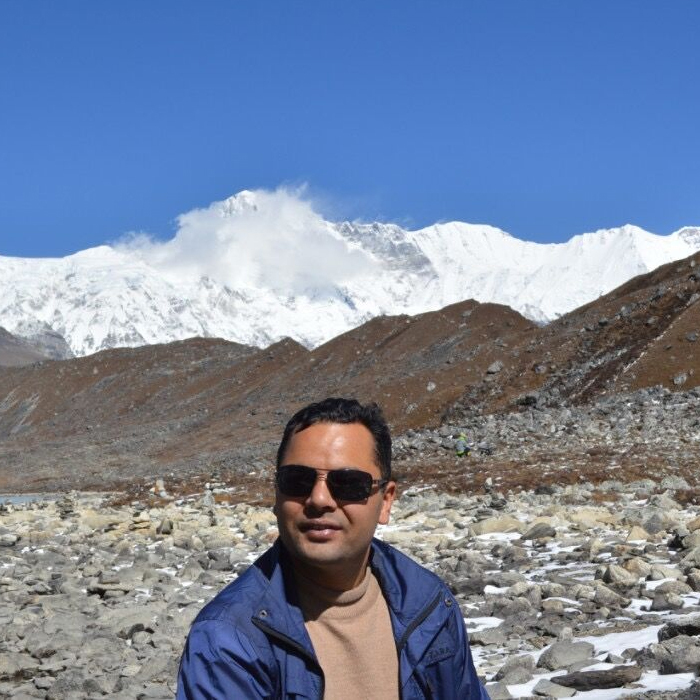 He returned to Nepal and has been Consultant/Manager of Health Care International for 2 years and finally left to join the exciting career in promotion of Tourism in Nepal. 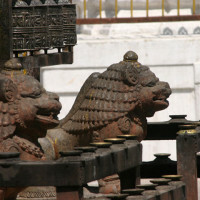 Hem Raj Bastola is a permanent inhabitant of Pokhara-25. 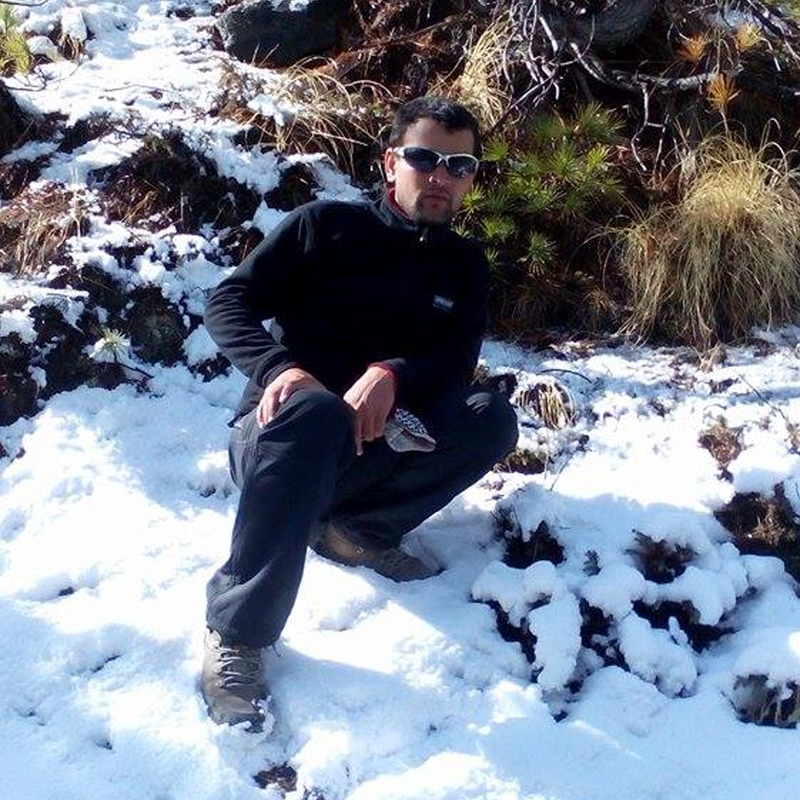 He has been working as a tour and trekking guide since 2010. Formerly he has worked as a guest service agent at the hotel Pokara Grande. 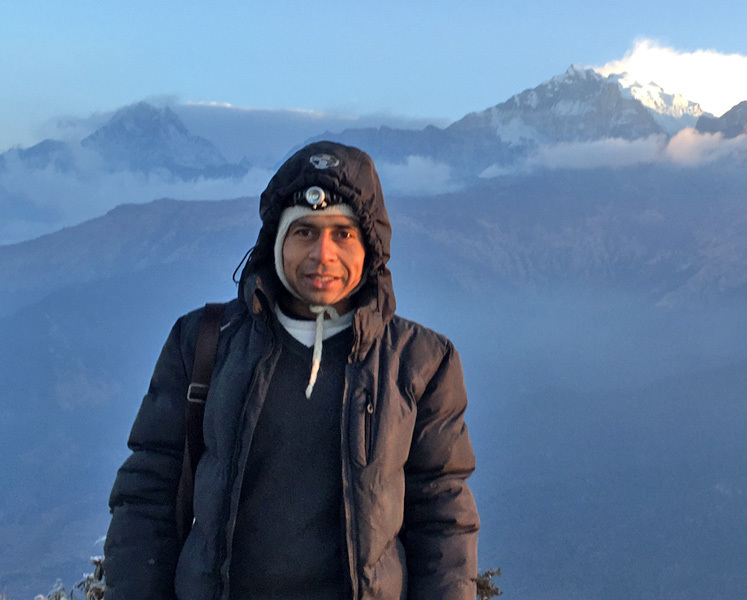 He started his career as a Cave guide, ticket sales man at Gupteshwor Mahadev Cave in Pokhara. So must of his working experience is related to tourism and hospitality industry. Beside his guiding profession, he enjoys reading and writing poetry. His poets have been published in different forums and medias. When get free time loves to work in the field as well.